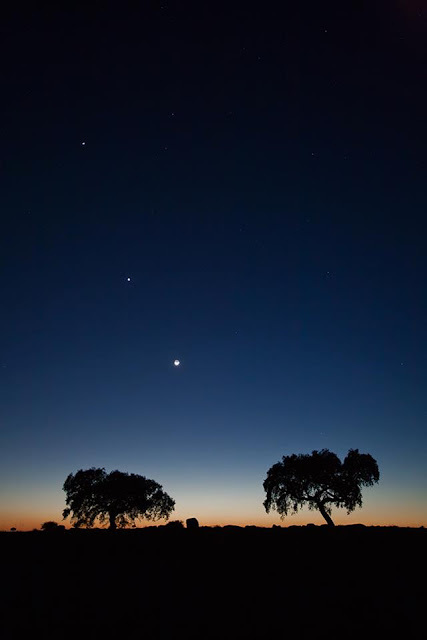 On Wednesday morning, the moon and Venus, the two brightest objects of the nighttime sky, were separated by about 4 degrees forming an alignment. Numerous readers have sent in photos dramatic event and for the sake of false alarms I want to remind everyone that these lights were not UFOs. 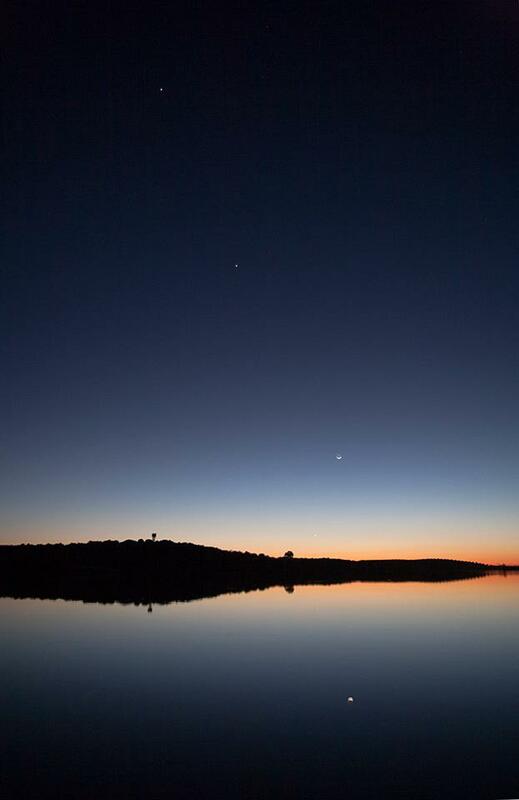 Venus is commonly mistaken for a UFO due to its brightness in the night sky, so combined with the the timing of this rare event it could easily cause alarm. If you have photos of the alignment you are welcome to send them in.